This Headset costs from around £10.95 and is compatible with Apple iPhone 6/5s/5c/5/4s/4 models, Samsung Galaxy S5/S4/S3, plus most other smartphones including LG models and other Bluetooth devices. For under £11 you get a noise-cancelling microphone which works well to reduce background noise, plus the headset itself will fit comfortably in either ear thanks to the inclusion of a soft gel ear tip. The JETech H0781 model is easy to pair with your smartphone and the rechargeable battery offers up to 11 hours of talk time and up to 14 days standby time thanks to the “Deepsleep” mode, plus the remaining battery power automatically shows onscreen for iPhone and iPad users so you always know exactly how much power you have left. The retail box includes the H781 HeadSet, Ear hook, Micro USB Charger cable and helpful operating instructions. This little gadget is a cracker for the price, you can have it up and running in minutes and it seems to pair perfectly every time. It also charges up very quickly and offers more talk time than most competitors. Making calls hands free with the JETech H0781 is a doddle, the soft gel eartips are really comfortable, plus the sound is clear and loud ( the microphone also works well so things are clear and loud on the other end too!). The headset even looks good in a kind of funky way! At this price and with a years guarantee, you really cant go wrong, it’s easy to set up and use, comfortable with two different speaker gels, and offers good sound clarity on both ends. 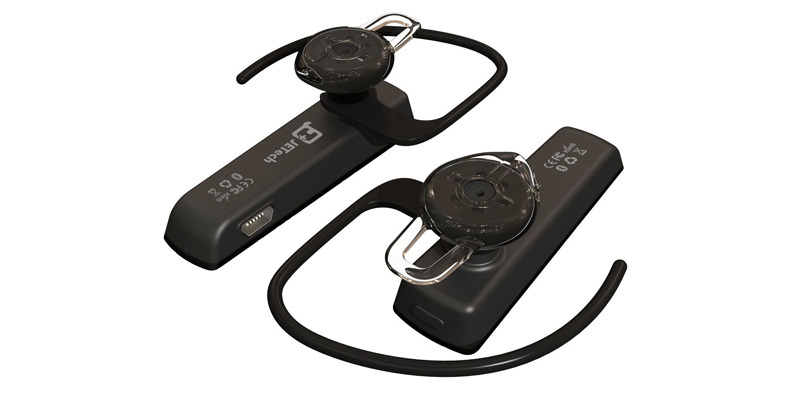 Highly recommended as a budget Bluetooth headset for hands free smartphone use.